September was another record month for Music Business Worldwide, as we continued to grow our global reach amongst music rights-holders and professionals. According to Google Analytics, the MBW site attracted over 317,000 unique users last month. These readers contributed nearly 717,000 page views between them. Standout stories in the month included the news that Spotify had begun allowing independent artists to directly distribute music on the platform. Other widely-read posts in September included news that the US Music Modernization Act has been unanimously voted through by the Senate, plus Pandora’s $3.5bn proposed acquisition by SiriusXM and Warner Music Group’s $180m buyout of merch company EMP. MBW’s most popular interviews last month included a no-holds-barred chat with songwriting royalty Linda Perry, plus discussions with Post Malone manager Dre London and Caroline President Jacqueline Saturn. Our insightful analysis in September, meanwhile, covered topics such as Apple’s $400m acquisition of Shazam, the closure of karaoke social app Musical.ly and, of course, the Spotify direct distribution announcement that made so much noise. We’re proud to host the work of exceptional music industry writers including Dave Roberts, Cherie Hu, Murray Stassen, Rhian Jones and David Turner. 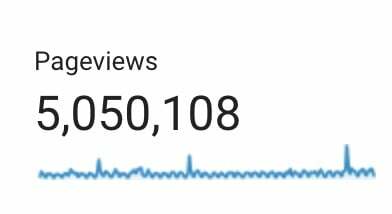 In 2018 to date – up to and including October 14 – the MBW site has attracted more than 5 million page views in total. Our daily emails now service a database of more than 45,000 subscribers. Thanks as ever to MBW’s commercial supporters, who have recently included SoundCloud, SESAC, YouTube, AWAL, SongTradr, Centtrip Music, INgrooves, Instrumental, AMRA, SoundBetter and FanBytes. Digital advertising opportunities in Q4 2018 – and into 2019 – are extremely limited. If you’re interested in marketing your brand to the most engaged online audience in the global music business, please contact Rebecca@musicbizworldwide.com. Oh, and it’s worth repeating: MBW doesn’t chase web traffic. We write exclusively about the music business – rather than addressing large audiences of music fans – because that’s our purpose for being. It is hopefully telling that our most-read posts are nearly always the most in-depth.